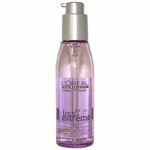 I really liked this loreal product. I have long hair and it really helps untangle. Having got a good straightening job done, this product was useful in every way. Take care not to apply near the roots unless you want hair greasy.